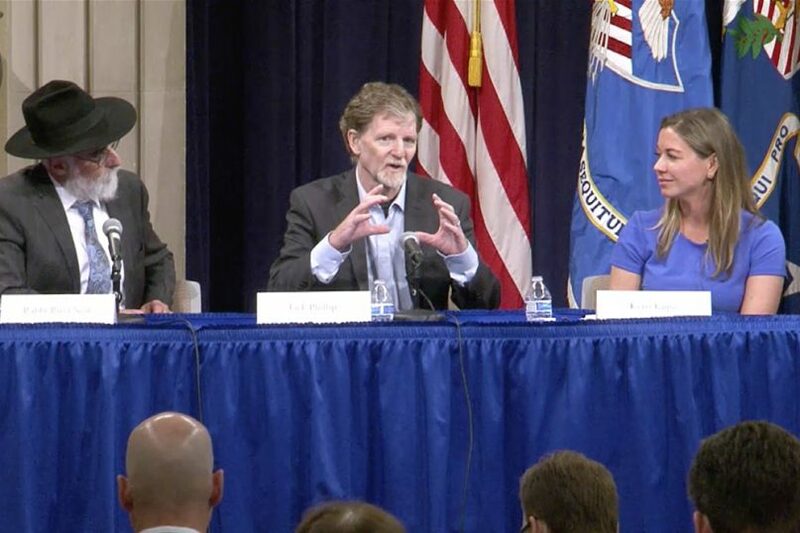 I must have said, “God bless America” at least a dozen times at the Department of Justice’s meeting on Religious freedom. 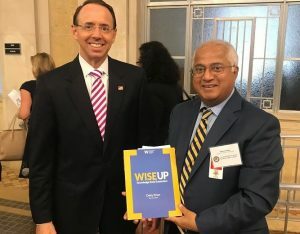 The speakers included Senator Lankford, Jeff Sessions, Rod Rosenstein, Archbishop Joseph Kurtz, Asmauddin, Harpreet Singh Mokha and many advocates of religious freedom. Despite the temporary setbacks, America leads the world in religious freedom – God bless the founding fathers for setting up a near perfect system – the rule of law and equal justice for all. I was wishing the lawmakers of other nations look into our system, we have a great model to follow. If there is one single reason I have to choose for the success of America, it would be the rule of Law – people can trust in the justice and go on about living their lives instead of living in apprehensions or having cultural, religious, ethnic battles that no one wins. We need to be free! Senator Lankford’s speech was absolutely a delight on religious freedom. I prayed for him, and I will publish that speech here at the Center for Pluralism site. Archbishop Kurtz gave a talk on free will, it sounded like the expanded version of the verse in Quran – There shall be no compulsion in the matter of belief. 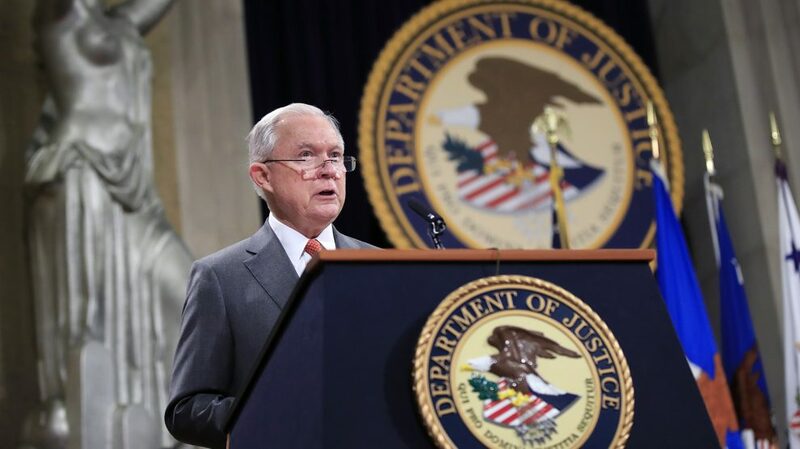 Jeff Sessions and other attorneys gave a summary of the defending the rights of Christians, Muslims, Hindus, Jews, Sikhs and all others. It feels good knowing that we are a just people, and what do we do? I pray for America, the founding fathers, and our system. Jeff Sessions has made mistakes, but the rule of law prevailed. I admire his stand on most issues but condemn his stand on dealing with immigration issues. Mike Ghouse presenting the book “Wiseup” produced by Daisy Khan of wisemuslimwomen.org This book is everything you want to know about American Muslims and their commitment to peace and prosperity of America. The real power in America is in the rule of law, and not the President or Speaker of the house. Imran Khan, the newly elected leader of Pakistan has understood and expressed that in his election victory speech. As a sign of goodwill, I hope he releases Asiya Bibi and apologizes to the Pakistani Christian community for the apprehensions and fears they have endured through this ordeal. I hope he assures the Ahmadiyya Muslim Community that they need not live in fear anymore and that he will repeal some of the disgusting requirements to get a visa or passport. He needs to assure the Pakistani Hindus that there will be no more forced conversions of Hindu women to Islam. If Turkey and Iran can release the imprisoned pastors in their jails, the world can see Islam as a religion of compassion and kindness. We cannot blame others for ridiculing Islam if Muslims are the ones who are tearing it apart. The Islam they portray is not Islam, Islam is all about justice, compassion and fair treatment of fellow humans, and creating cohesive societies where all humanity can live without fear of the other. That takes me to India – my motherland that I so dearly love. India has an impeccable history of welcoming the stranger and giving refuge to the oppressed, rejected and the evicted. This beautiful pluralistic 5000-year-old tradition of India is in peril now since the BJP and its affiliates took over power in 2014. I am writing an article called “White Washing religious freedom in India” and hope to appeal to the Prime Minister to restore Dharma, the righteousness that Lord Krishna had promised whenever the society decays. I am sure the collective goodness of Indians will restore that pluralistic heritage. India and Pakistan mirror each other in everything including terrorizing their minorities. Let’s make an effor to change all that and restore the righteousness. God bless humanity and give guidance to the leaders.